Frontpage Editor unveils Fox News’ shameful surrender to Sharia. In this new video, Frontpage Editor Jamie Glazov takes a stand In Defense of Judge Jeanine, unveiling Fox News’ shameful surrender to Sharia. 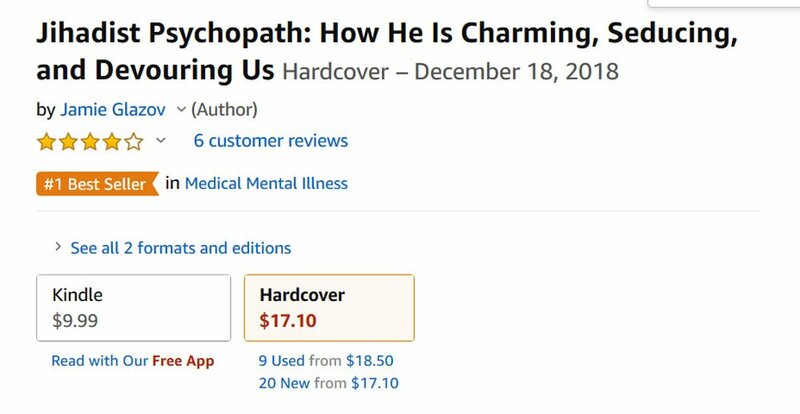 Meanwhile, we are excited to announce that Jamie's new book is, at this moment, as indicated in the screen shot/graphic to the left, Amazon’s #1 Best Seller in the "Medical Mental Illness" category. It is also Amazon's #1 New Release in the “Islam” category. To learn about Jamie's unveiling of the Jihadist Psychopath's plantation -- and how we can escape from it, CLICK HERE.